I hope I´ll be able to write an article after some weeks of posting nothing. Sorry, but this winter has begun really hard, after the best fall we have had here, winter has come with really a lots of snow and very cold nights. 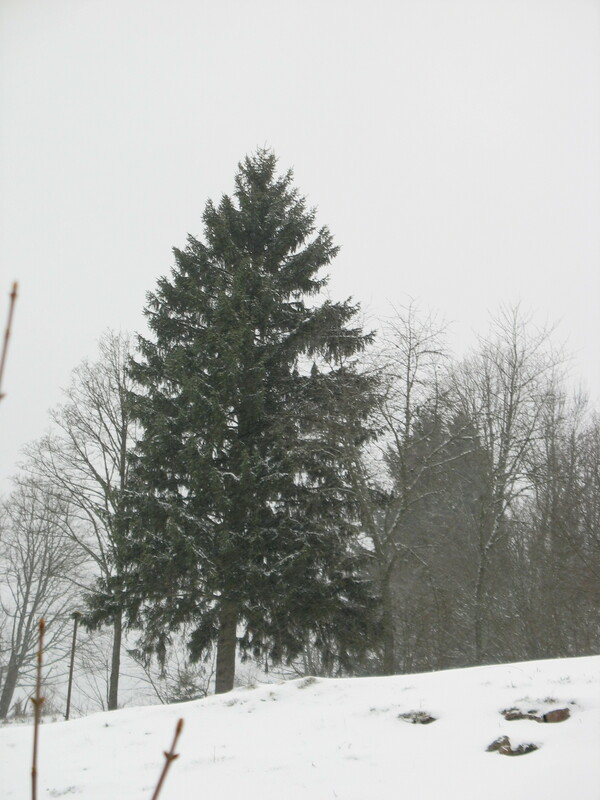 There is much less snow and cold down in the valleys, to live in the heights of the Black Forest in winter is an extraordinary experience. You really feel a bit lonesome. And it´s every year the same story, everything seemed to be prepared well, but every year you´ve forgot something. The principle is to enforce the back of a bow to withstand the tension when drawn by using one the most flexible fibres and glues nature offers( nature is never cheap, it is always luxurious). So a modern backing made of artificial fibres and epoxy are nothing new on the planet- same principle- but highly poisonous and polluting, for nothing to say about its durability. A well done and well treated sinew- backing will survive any bow backed the modern way. 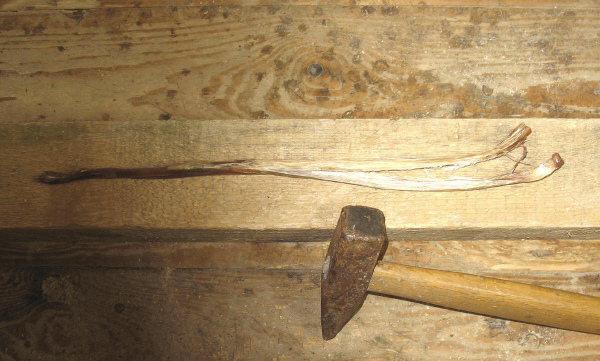 A sinew- backing is often recomended for to repair a bow. It works very well if there will be a small crack at the back, or it is a good option if the bow- stave seems not to be as perfect- maybe there are many tiny knots or some loose splinters etc………….. 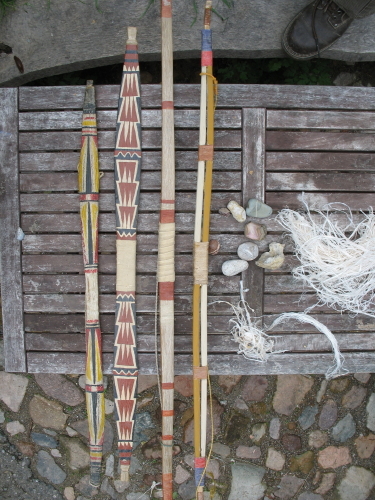 There are another types of historical bows that were not only backed but completely wrapped with bundles of sinews: remember the hornbow for the crossbow I´m just reconstructing, the highly delicious bow- constructions of the Egyptians and Scythians, the joints of the siyahs( the highly recurved tips of hornbows) to the bow- limbs. 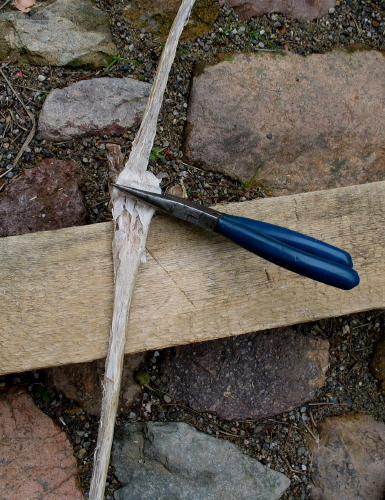 I´m wrapping almost every extra piece of wood I add to a bows handle. 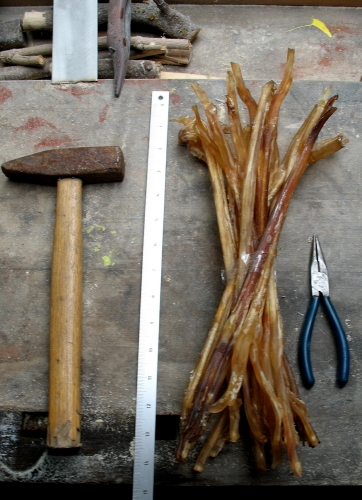 Sinew fibres are used for to adjust the feathers at an arrow, for to enforce the fitting of an arrowhead to the shaft. Sinew fibres had been the sewing thread of the past. 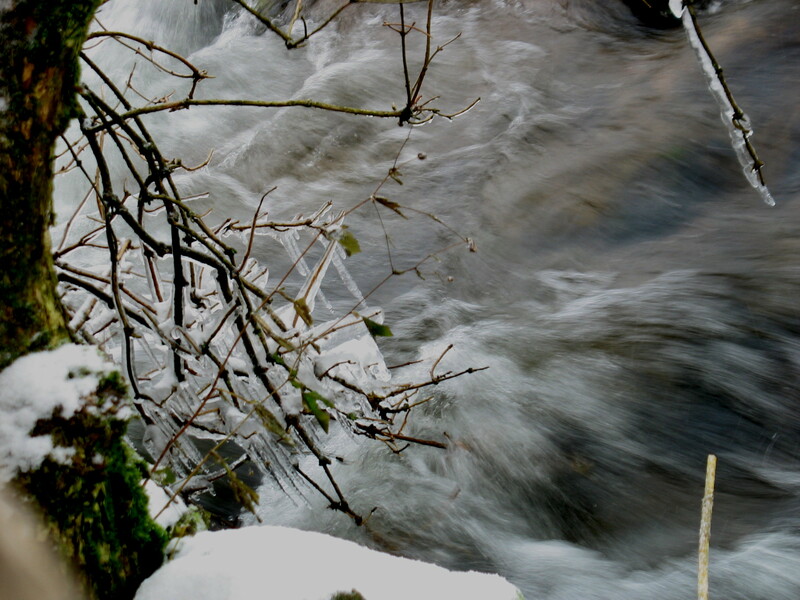 Its real power is evoked when soaked into water for some minutes before using it, when it dries it is shrinking at about 30%, that´s a lot and it makes clear how our ancestors had been able to produce waterproofed seams. 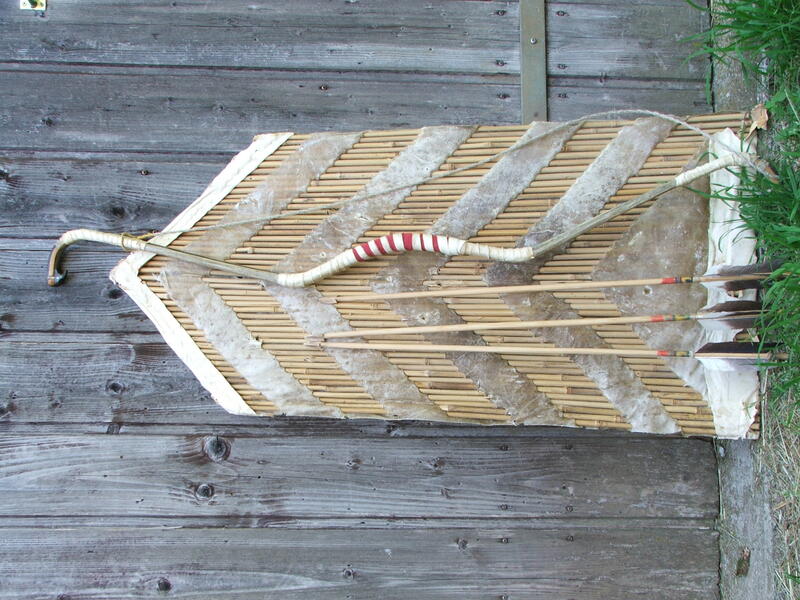 It is often told that a sinew- backed bow is very sensitive to humidity. That´s really true, any sinew- backing or sinew- wrapping has to be sealed with an oil(linen-seed, walnut, olive, bee´s wax…….). A sinew- backed bow is a weapon to be better used in a dry climate for to come into its own. Historians are telling that the Osmanians would have conquered Central Europe too, if their hornbows wouldn´t have performed so bad in the more humid environment. The best sinew for to make a backing of a bow is leg sinew of deer, elk and buffalo. I prefer buffalo leg sinew, cause it is easy to split. But it is hard to get. 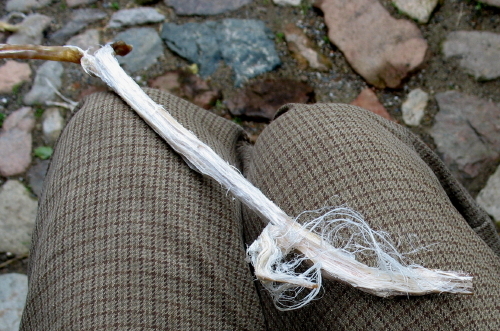 So I often have to use deer- or elk- sinew, elk- sinew is longer and easier to split than deer- sinew. The length of the elk- sinews is about 11″, the hammer is needed for to tenderize the sinew. After a few blows the skin will peel away and the colour will become more white. Where the sinew is dividing into 2 strings it is very dense and hard, I cut this part off and offer it to our cats and our tame magpie, she likes to play with it, some day I watched the magpie soaking the piece of sinew in her small bird bath, I was really done! 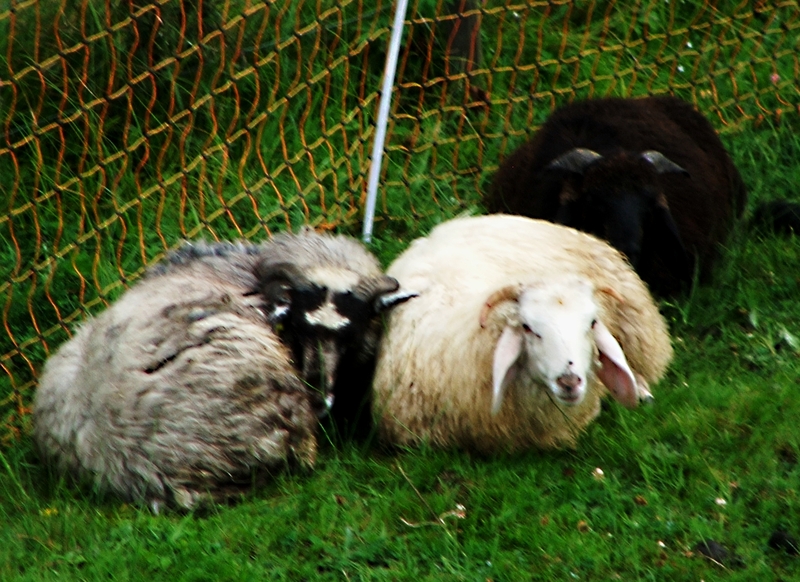 It´s really a hard work to do, the fibres are sticking together very strong. Having a closer look to sinew its main constituent is keratin, a protein and a polymer. Polymers are building chains, these chains are cross- linked heavily. To splice one elk leg- sinew takes me about 2 hours, usually for a Plains bow or a hornbow you need 3- 4 sinews, backing the bow will take you another hour. For to get sinew ask your local hunter, give him some money, cause it´s a bit of a delicious job to cut the sinew proper. 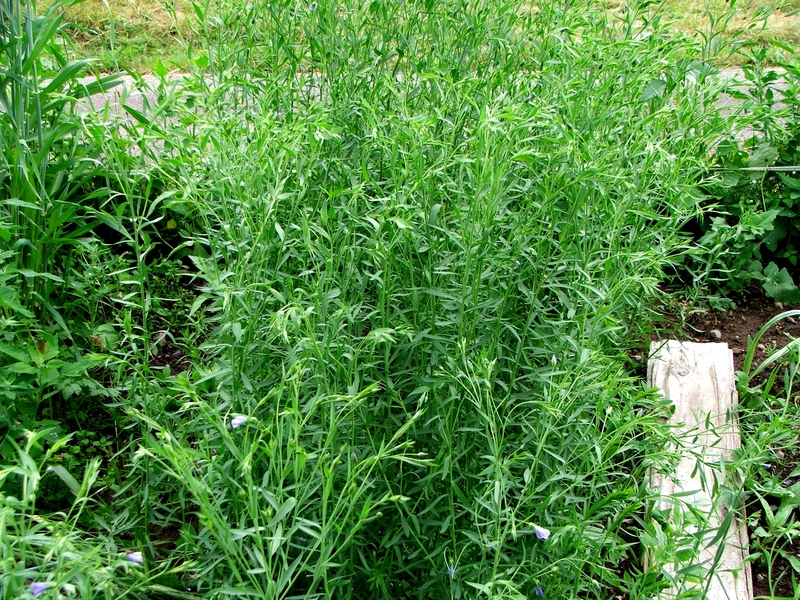 Dry it at a save place for 3- 4 weeks, mice, dogs, cats……… like fresh sinew. Don´t use sinew of farm animals. 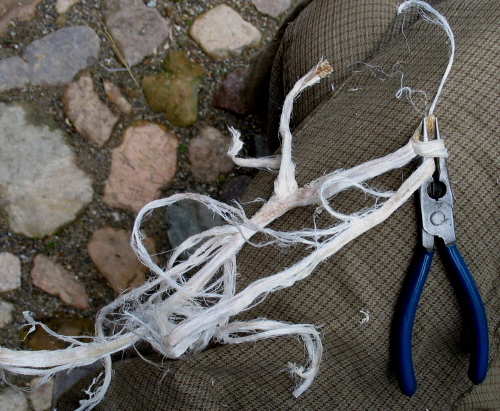 I´ve had to make a very sad experience when preparing my first sinew- backing. I got some sinew of cattle from a farmer nearby, when I begun to pound it, it returns to dust. This cattle has never been walked on grazing land, has always been chained in a dark stable till the butcher was coming. Next volume is dealing with the applying of the sinew at a bows back. 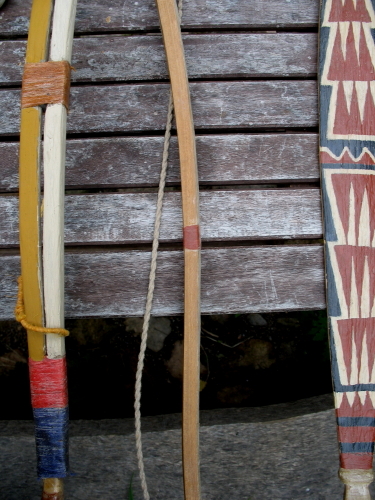 There´ve been Scythian- style bows, with a similiar curvature to the saka bows of shanshan, but done in the usual hornbow- manner: horn as belly, wooden core, sinew- backing. The yanghai- or subeixi- bow technique is not the only way to make a Scythian bow, as I thought it to be and some ” strongheads” are repeating it again and again. The subeixi bow- technique was obviously predominant from 800- 200BCE, the excavations of the more “usually” done Scythian bows are related to 1200- 800BCE. So, the Scythians had been aware of different techniques to make bows, there had never been any “one and only Scythian bow”.